 In this Terms and Conditions, the terms “we”, “us”, “our” and "Famous" refers to Famous Traveller Group as an Express car line operated and regulated under Famous Traveller International Company Limited. This Terms & Condition apply to all users of Famous website, its mobile app or its reseller/agent, including without limitation, users who are browser, customers, resellers and/or merchants. 1. You may not use our products for any illegal or unauthorized purpose nor may you, in the use of the Service, violate any laws in your jurisdiction. 2. In order to purchase any service or products from us, you must be (1) at least the age of majority in your state or province of residence, (2) legal age to form a contract, and (3) not a person barred from receiving or purchasing services under the laws of the Myanmar or other applicable jurisdiction. 3. By mean of any communication, including but not limited to all calls, email and messenger, between you and Famous may be recorded for training, quality assurance and legal purposes. 4. We reserve the right, at our sole discretion, to limit, to cancel or not to process your reservation in certain situation. This may happen, for example, when the booking you wish to reserve is no longer available or has been mispriced, we suspect the reservation request is fraudulent or in other circumstances. 5. To order to prevent fraud, we may carry out checks and/or you may be asked to provide additional information to process your reservation. If we suspect fraud we may cancel any reservation. Famous will either not charge you or refund the charges for reservations that we do not process or we cancel. app are inaccurate at any time without prior notice (including after you have submitted your order). If this occurs, Famous will inform you by email and correct the pricing. If additional charges apply to your booking which charges you do not pay at the time of checkout, you will be responsible for paying these charges. 7. Cancellation and Refund are not permitted after committing of booking unless the booking payment was made with USD currency rate via our foreign account or payment gateway such as 2C2P. • Cancellation and refund can be made anytime providing the cancellation request is made 7 working days prior to your travel date. Famous will not charge you for the cancellation. However, you are liable to pay for transaction fees for the refund amount that the Payment Gateway charge. • Any credit or refund will be made to you either in Famous Credit or original form of payment. All refunds will be in currency in which you originally paid for the booking. 9. Amendment can be made within 3 calendar days from the date of purchase providing the amendment request is made 2 working prior to your travel date. There will be no amendment fees. 12. You may not sell, auction, barter or transfer your reservation/seat under your name to a third party. It is your responsibility to provide current, complete and accurate information for all bookings and reservation made at our website and app. 13. Bookings do not include any incidental charges, expenses or services, except as specifically described in your description. You are liable for any such incidental charges, expenses or services that you incur or consume during your trip. 14. We are not liable for any harm or damages related to the purchase or use of goods, services, resources, content, or any other transactions made in connections made in connection with any third-party websites. Please review carefully the third-party’s polices and practices and make sure you understand them before you engage in any transaction. Complaints, claims, concerns, or questions regarding third-party products should be directed to the third-party. 15. Given the nature of travel services we recommended that you obtain independent Insurance to provide adequate cover for medical expense, personal accident, loss of baggage and curtailment or cancellation of your trip due to natural disaster. Please note that such insurance is not included with your purchase on Famous unless it is mentioned separately by Famous. Famous accept no responsibility for losses or additional expenses due to accident, unexpected delay, road condition, sickness, weather, political situation or other cause beyond its control. 16. You acknowledge and agree that Famous may, at our sole discretion, change, add, update or remove any part of these Teams & Conditions at any time and in any manner. You may not amend or modify these Teams & Conditions under any circumstances. The current version of these Teams & Conditions is available at www.facemoustravellerinternational.com . It is your responsibility to check our website periodically for changes. Your continued use of or access to our website amd/or app following the posting of any changes to these Terms of Service constitutes acceptance of those changes. 17.These Terms & Conditons and any serprate agreements whereby we provide you shall be governed by and construed in accordance with the laws of The Republic of the Union of Myanmar.